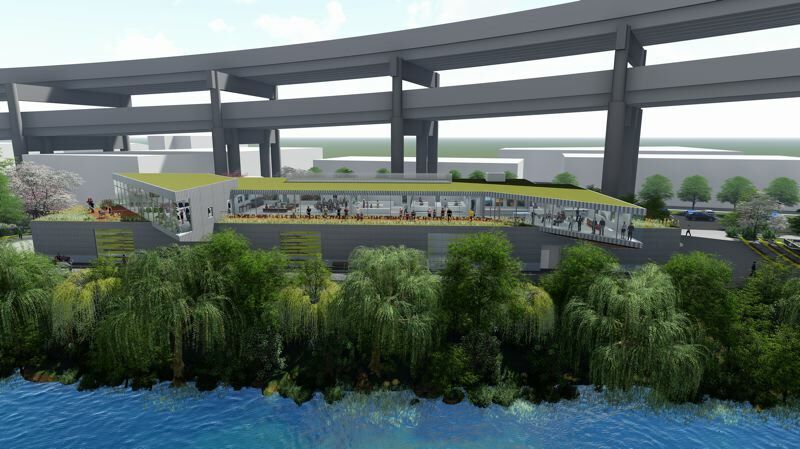 A new restaurant named Canopy will open this May in the ZGF Architects designed Canopy Hotel. 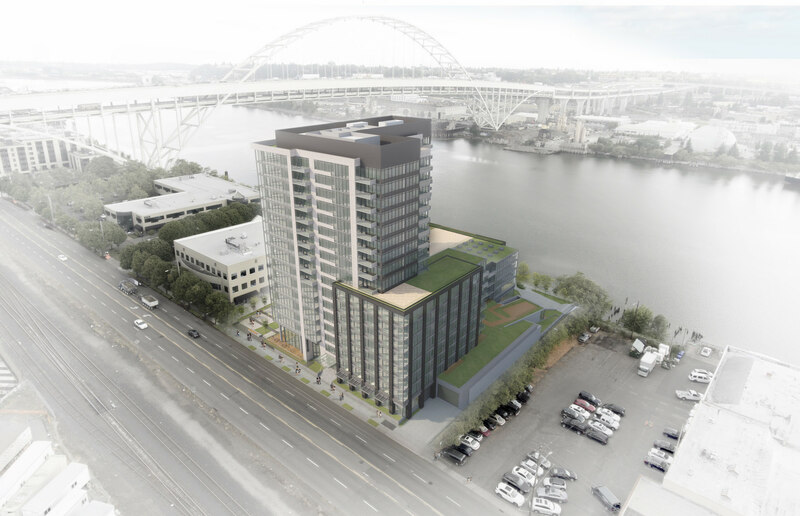 The Portland Mercury reported that the Canopy Restaurant will open this May in the Pearl District Canopy Hotel. 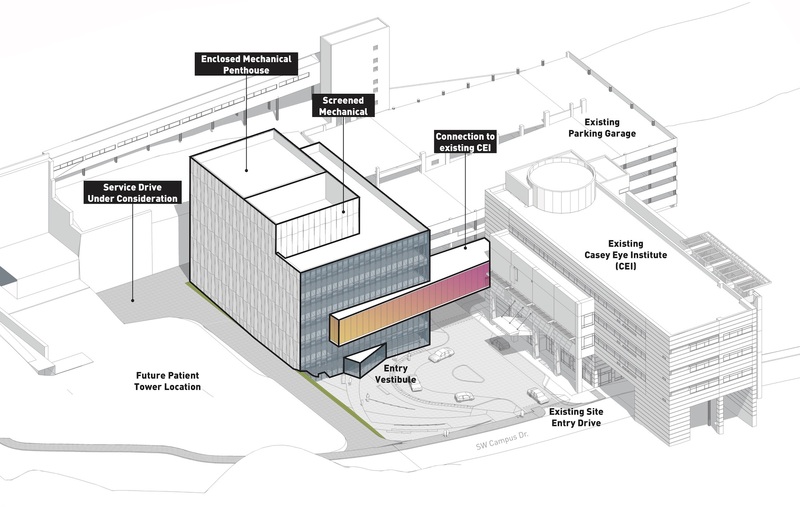 The Daily Journal of Commerce reported on the demolition of the old OHSU School of Dentistry, which is being torn down with “Jurassic flair“*. 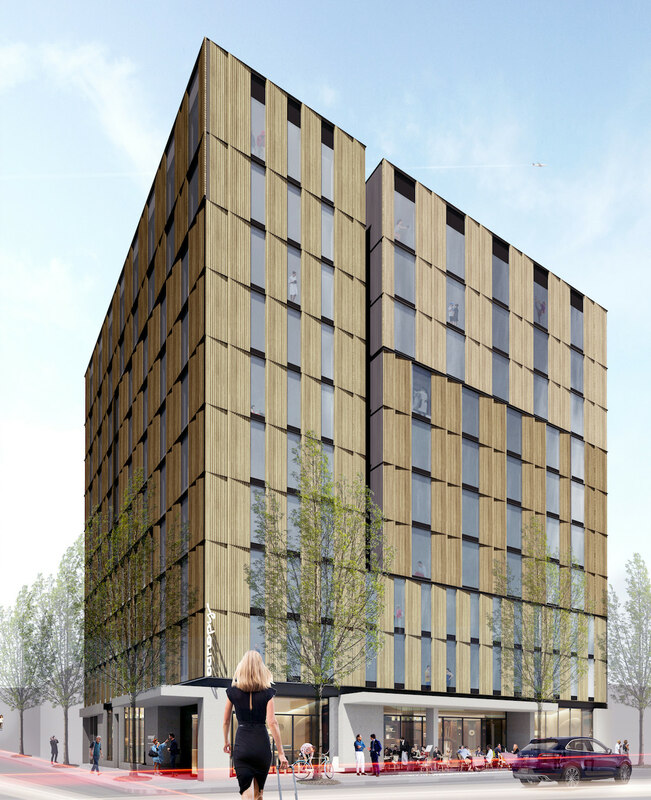 The building will be replaced by the new OHSU Elk’s Children Eye Clinic. The Portland Mercury reported that the decades old Chinese Village restaurant has closed its kitchen. 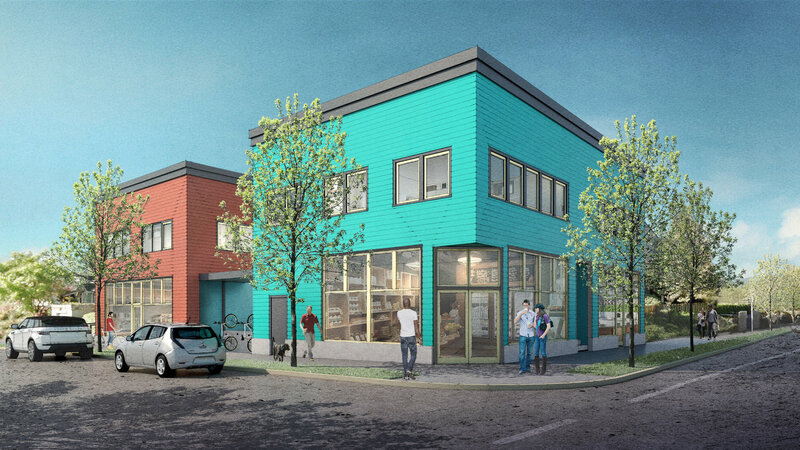 A 20,480 square feet grocery store proposed for the site at 520 SE 82nd Ave was recently submitted for building permit review. The Daily Journal of Commerce published photos of the demolition of the old Fishels Furniture building. 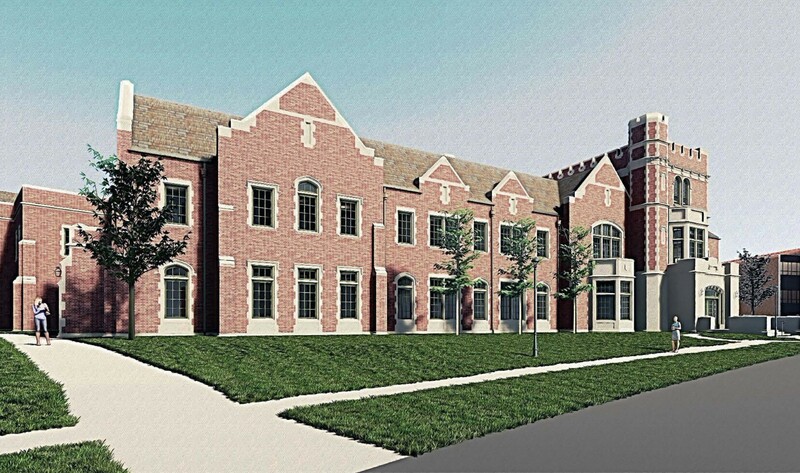 It is being torn down to make way for the 5 MLK development. Architect and City Council Candidate Stuart Emmons is “angling for the anti-development vote in Portland”, according to the Willamette Week. The Portland Tribune profiled Carrie Strickland, founder and majority owner of Works Progress Architecture. 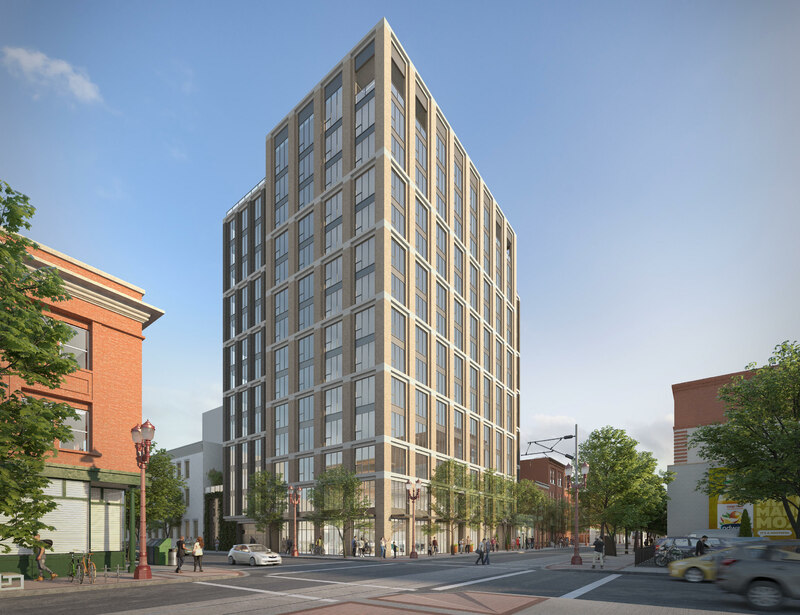 The Design Commission has approved a 5-story, 64’ tall mixed use building in the Kerns neighborhood, designed by C2K Architecture for Green Light Development. 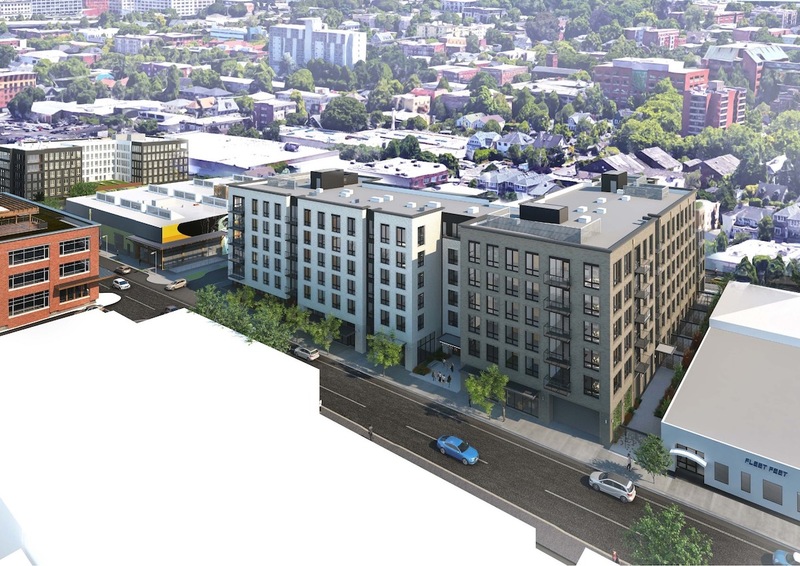 The project, currently known as the Glisan Street Apartments, will include 86 residential units as well as ground floor retail. 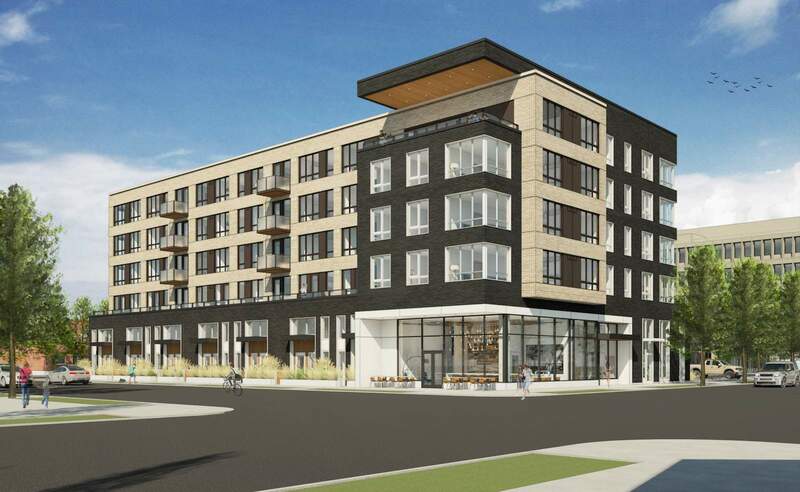 22 vehicular parking spaces will be provided in an at-grade garage, accessed from NE 15th Ave. 132 long term bike parking spaces will be provided, split between 88 spaces in a bike room, 42 spaces in the residential units and 2 spaces in the retail area.